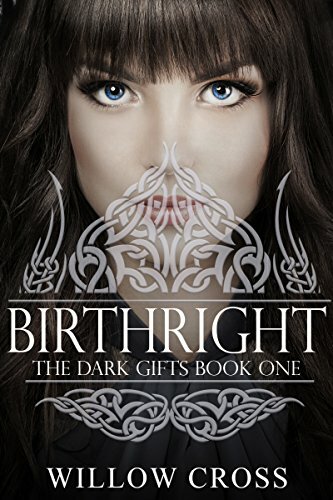 Birthright (Book I in The Dark Gifts series)For one-thousand years, Druid prophecies foretold of a young witch destined to alter the fate of both human and immortal alike. This witch-turned-vampire would be capable of harnessing the supernatural abilities of both and, in a bloody rise to power, would rule with unwavering control.Unwillingly thrust into a world she never dreamed existed, Liz Markum is catapulted into an ancient war between rival vampire factions. She must choose between those she loves and the ever-present darkness attempting to devour her very soul.Only one question remains: Will Liz claim her birthright or surrender to the dark gift?One choice.One chance.Two destinies.